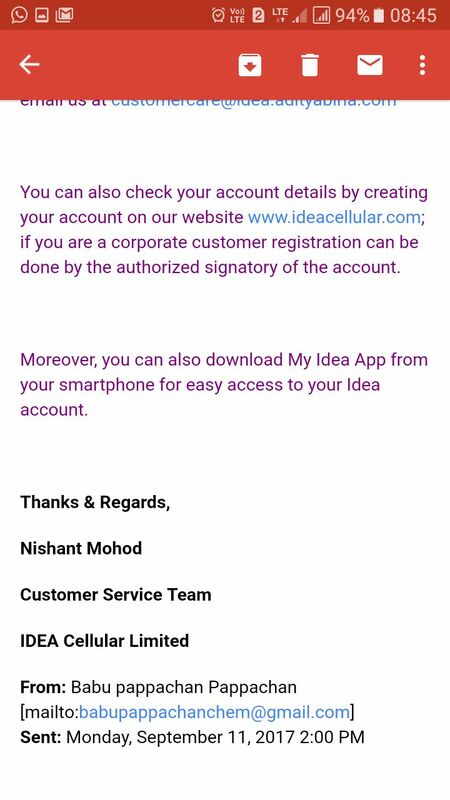 I am an idea simcard user. 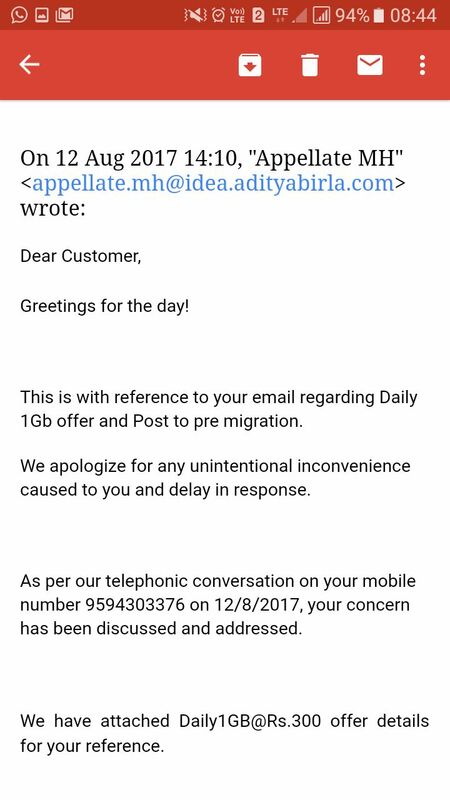 I received a call from idea customer care that if i migrate from prepaid go postpaid i would be able to get 1 gb every day for 499. 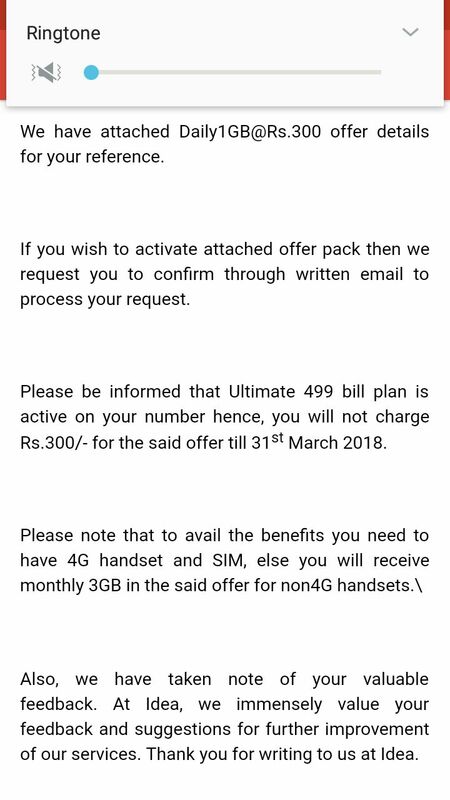 But i only received 1 gb for the whole month which is a fraud. Secondly when i went to migrate to the nearest store they stated that they have no simcards and will have to go to another store. I have been through 5 stores till now but havent received a proper resolution. 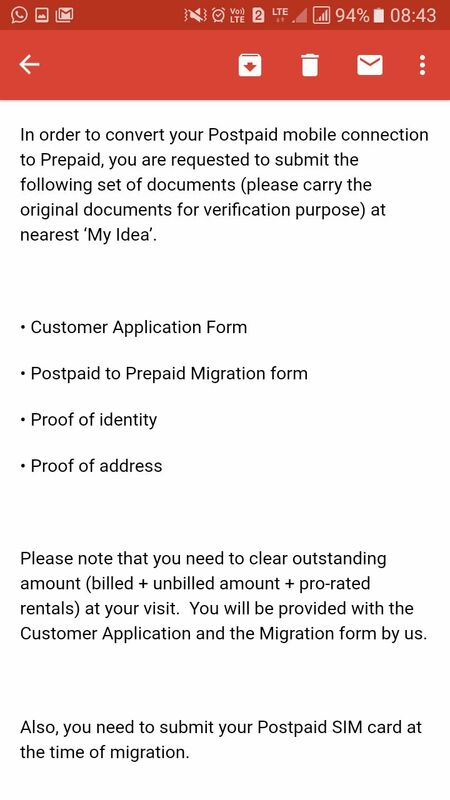 I have emailed the appelate authority however he called me and stated that i can go anytime before the due date and make a payment and migrate the plan. However when i went to the main store at kalyaninagar they stated stated i need to come on 27 aug which was sunday. Normally they stated that they dnt work on sundays. 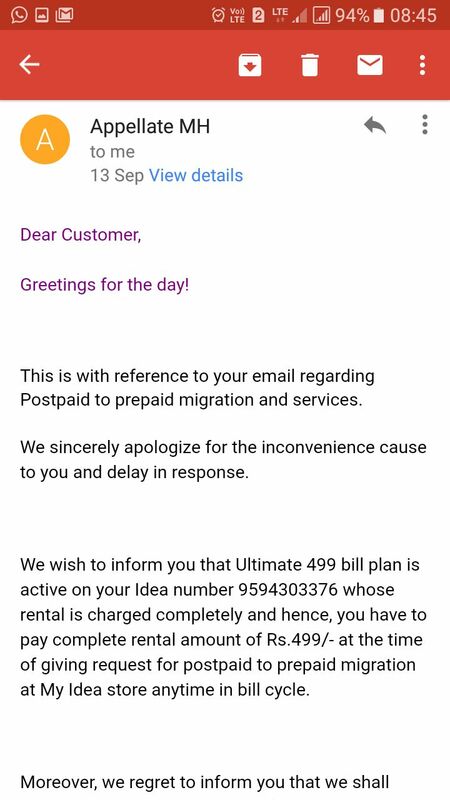 Now after one month i have received a resolution which stated that my plan is prorated and i can only migrate after i make double payment of 499. 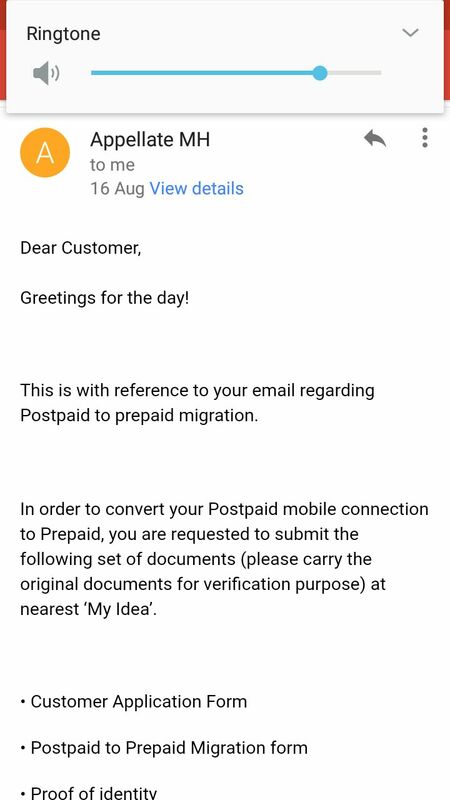 Itd ideas fault that they didnt provide me correct information and if they had provided me information correctly then i could have been able to migrate and i had visited a store on 28 aug 2017 at kalyani nagar store pune. The token no is C-105. At 2. 23 pm.but havent received any help till now. I want help as i have been behind this from 3 months. 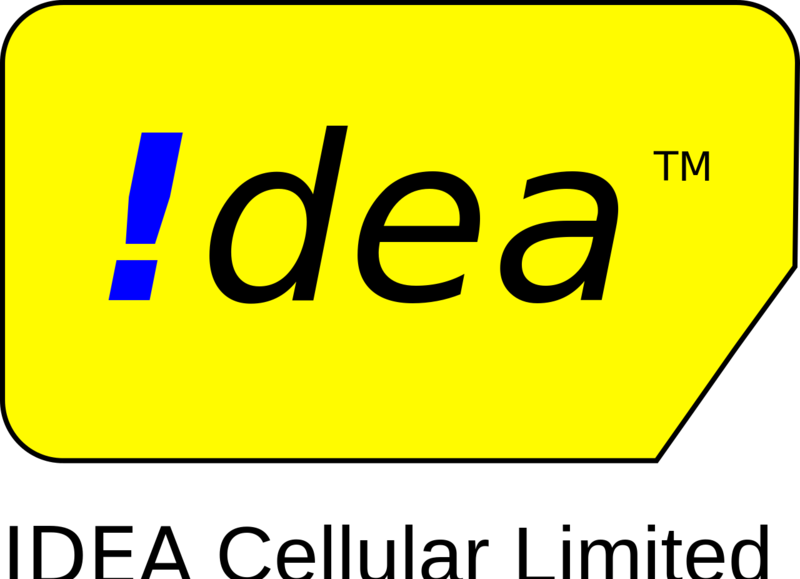 Now the idea have barred my outgoing calls as i have not made the payment. 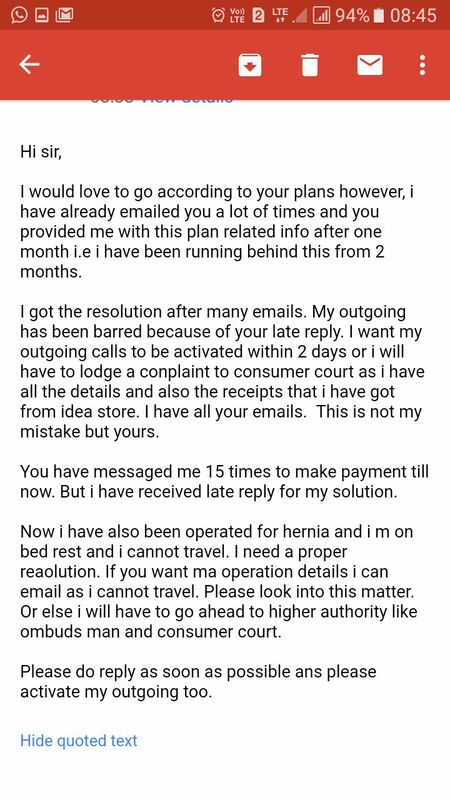 I m also operated noe and cant travel. I want the idea to come and help me. I am not ready to go again to the store as the store managers behaviour is also rude.